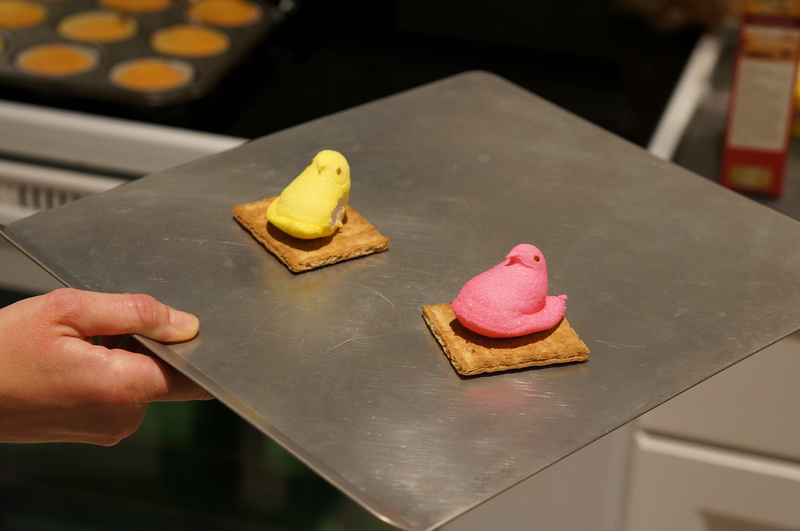 Place each Peep on a graham cracker square on a baking sheet. Pop them in the oven at 350 degrees. We just kept watching them until they poofed up. This would be a great time to swap campfire stories, minus the campfire! 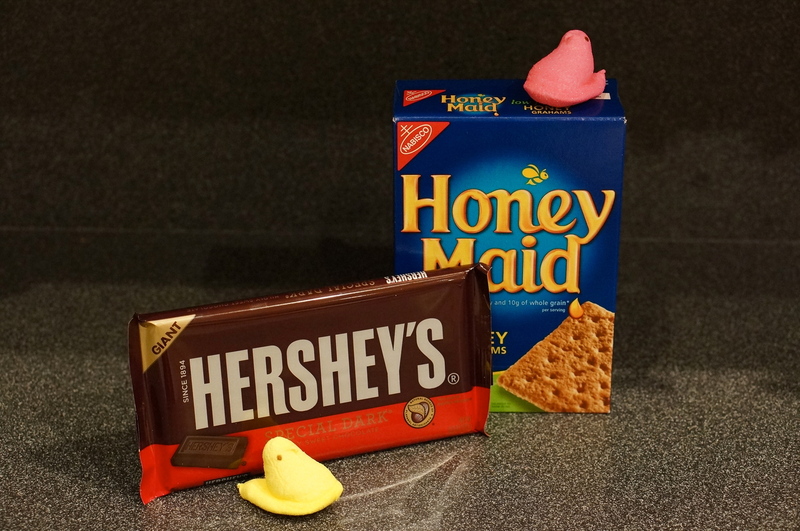 Once the Peeps are appropriately poofy, place a square of chocolate on top of the Peep followed by another graham cracker square, and push down. You’re all done! 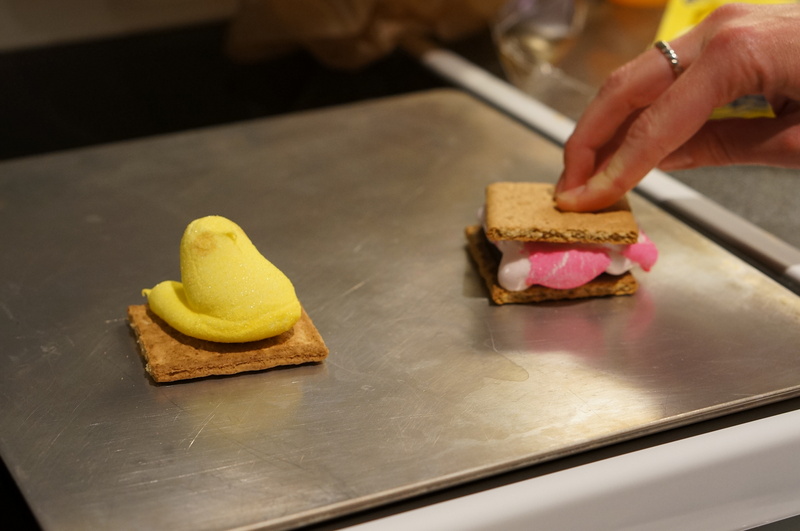 We guess you could try actually roasting the Peeps over a campfire, but we aren’t so sure it would work. 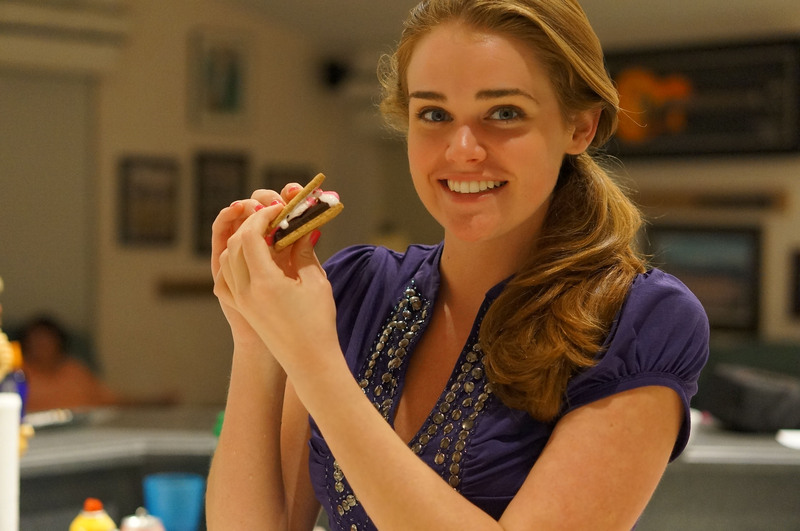 These Peep s’mores turned out great! 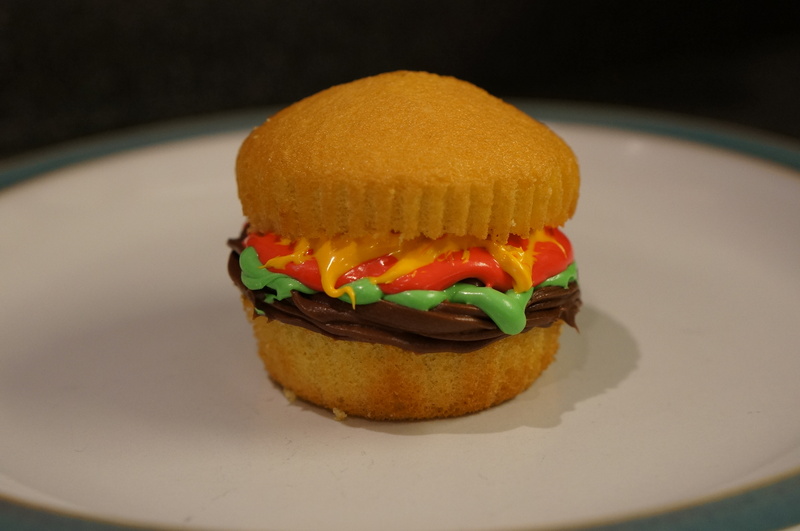 They were delicious and reminded us of the summer camps we used to go to when we were younger. 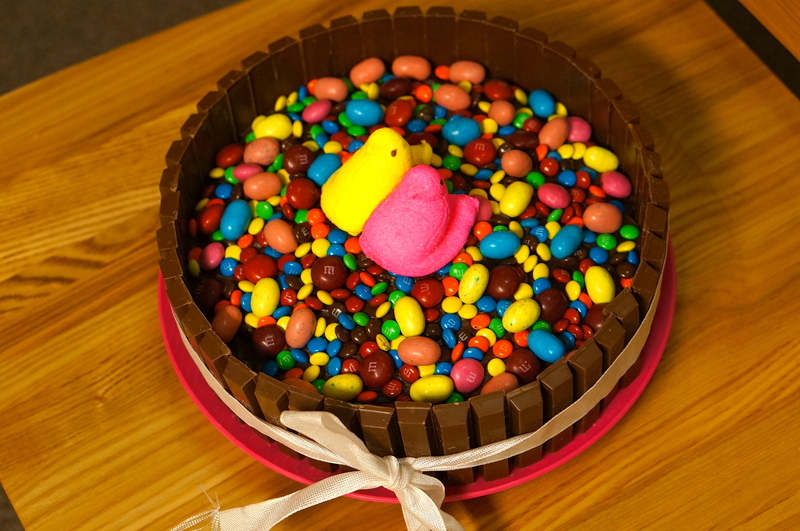 If you still have too many Peeps, you may want to give Peep wars a try!! 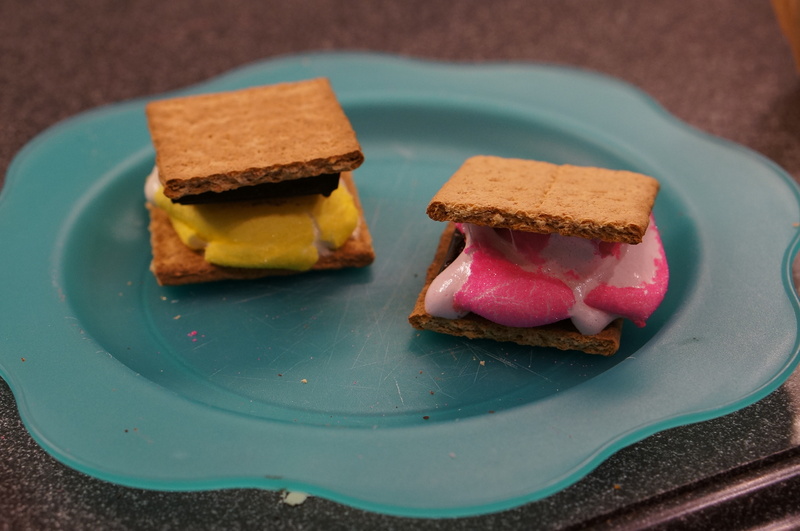 Place two Peeps on a paper plate and microwave them until they explode! Whichever Peep overwhelms the other wins! 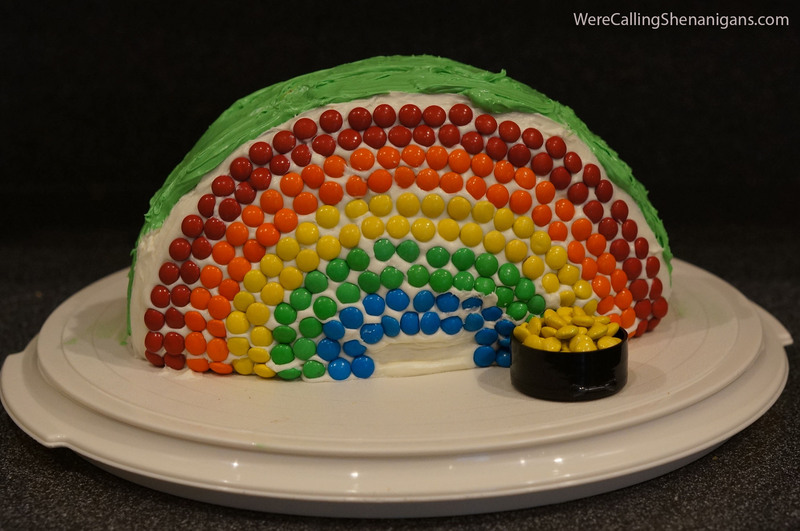 (This is easiest if you and your adversary each have a different color Peep). Bonus: you can give them toothpicks to joust with. Shenanigan’s you have done it again! Fun easy and great way to use up those peeps after Easter!!! Oh so colorful too!!!! Thanks! Neither of us really like peeps on their own so this was perfect!